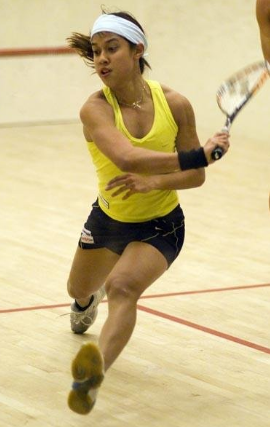 The Head Ti S6 was launched in 1997 and has been heads best-selling racket ever. Now in its 18th plus years and is still selling extremely well. The head ti S6 is has an oversized head measuring 115 square inches; the weight is 225 grams which is the lightest racket on the market. The balance of the racket is 380 millimeters giving it head heavy balanced. The length is slightly longer than the average racket 27 and ¾ inches and it has a string pattern of 16 mains and 19 crosses. The technology of this racket is titanium with high modulus graphite that gives the racket extreme stiffness and generates more power. It also has a shock soft system in the handle of the racket which gives you extremely good shock absorption. This racket is suitable for beginners, intermediate players and indeed good players who want a very light racket and yet generate very power. The head Ti S6 racket is available on amazon.com.